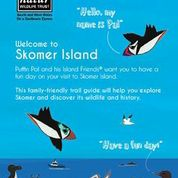 Puffin Pal has arrived on Skomer. Come and meet him and his Island Friends this August. 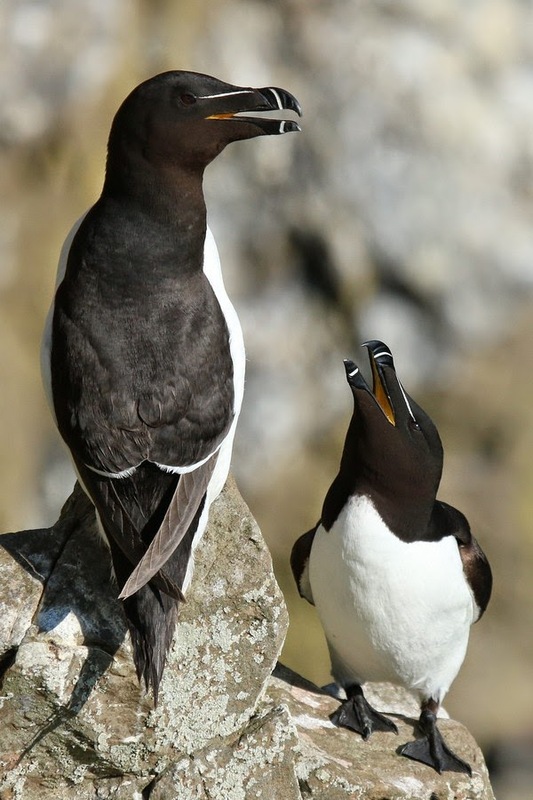 Although the Puffins will be leaving the island in August there are plenty of the other characters around (like Rabbits, Seals and Porpoises). 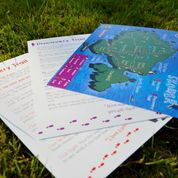 We've just received our new kids packs and family trails on the island thanks to the hard work of Lucy Griffiths and Chris Thomas. 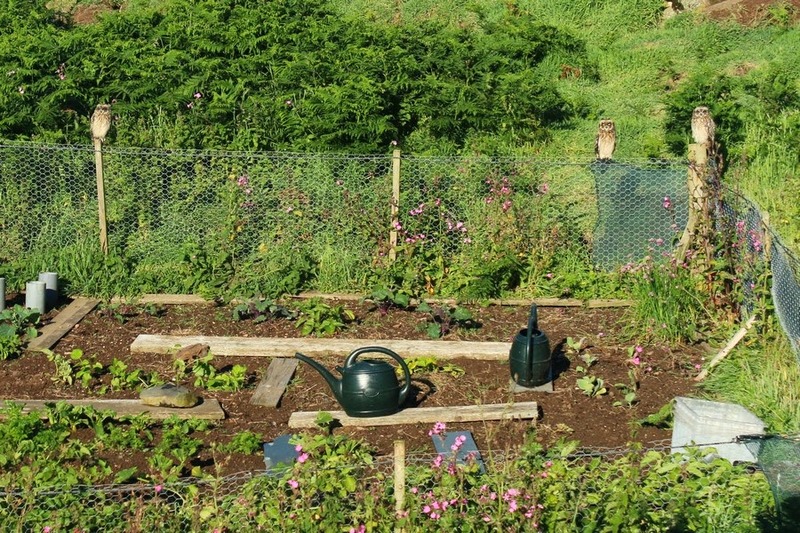 They're free to use, just ask the staff and volunteers when you arrive. 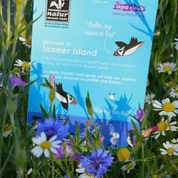 We think they look great and hope you'll find them a fun way to discover Skomer Island this summer. 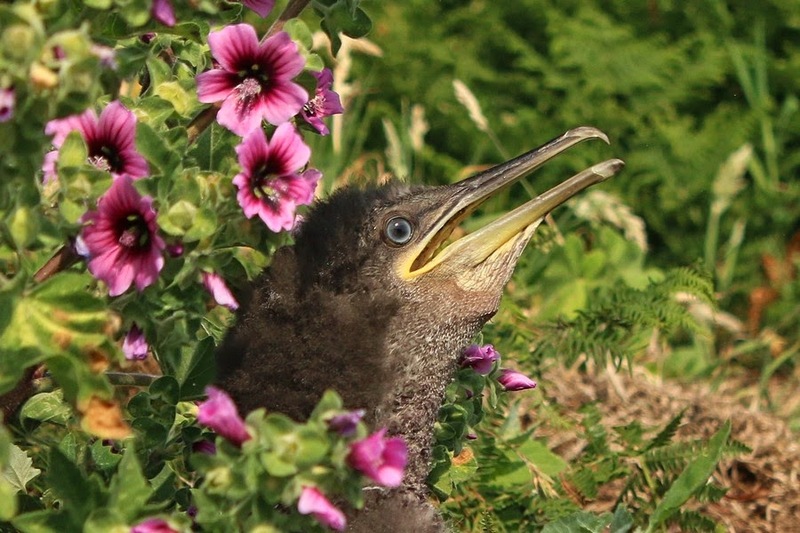 The Pembrokeshire ringing group and former Skomer Wardens Anna and Steve Sutcliffe have been monitoring and ringing the breeding Shags on Middleholm since 1985. 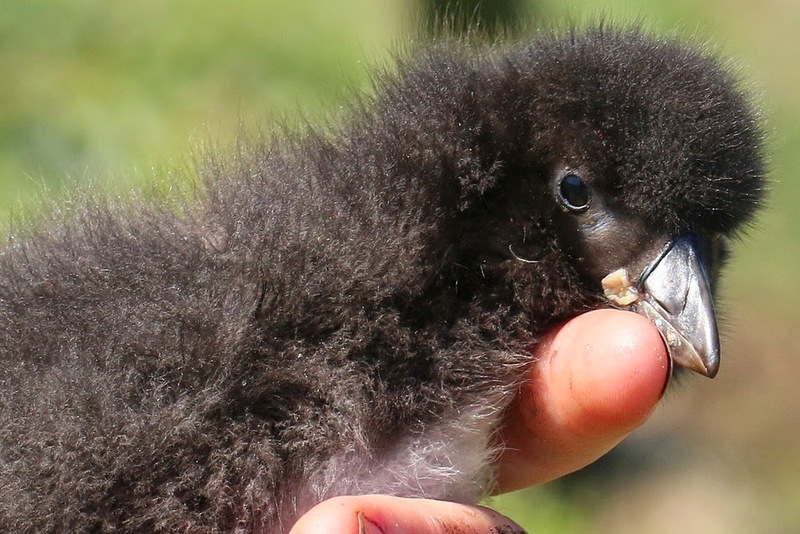 This year Ed and I were able to join in and we had the most amazing time scrambling around the island looking for nests and ringing the chicks. 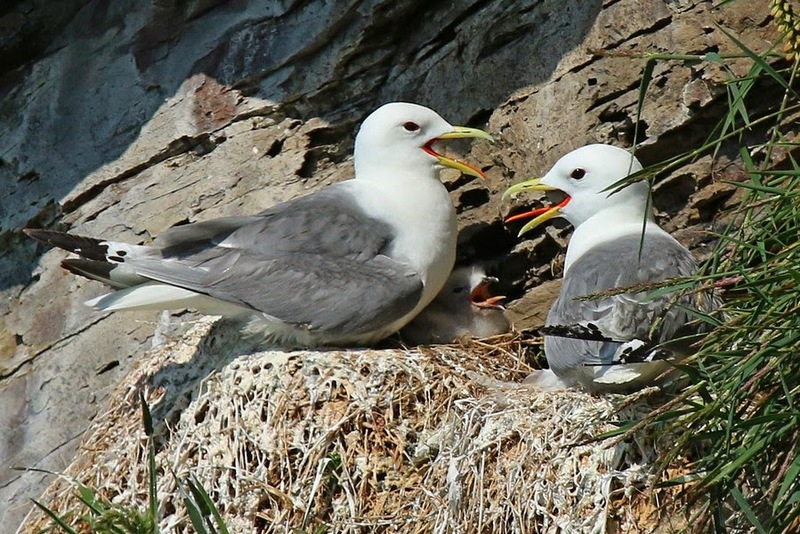 We found 23 nest sites and we ringed 25 chicks from 9 nests which equates to 2.78 chicks fledging per pair – a high productivity level. 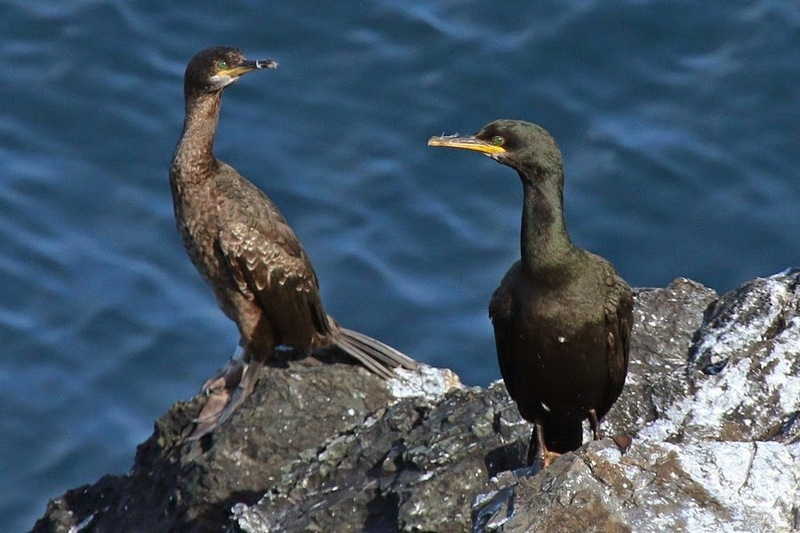 This is good news as the Shags have not been doing well in recent years. "Be careful, they have long beaks..."
“42!” “27!” “34!” Apparently random numbers were being called out by overnight guests at the Wick one evening last week. But don’t worry we’ve not had to resort to cruise ship style entertainment for our guests yet on Skomer (though a poker night could be fun). It was early evening and fading sun was backlighting our puffins, making their feet glow orange and the sand eels in their beaks flash silver as they came into land. 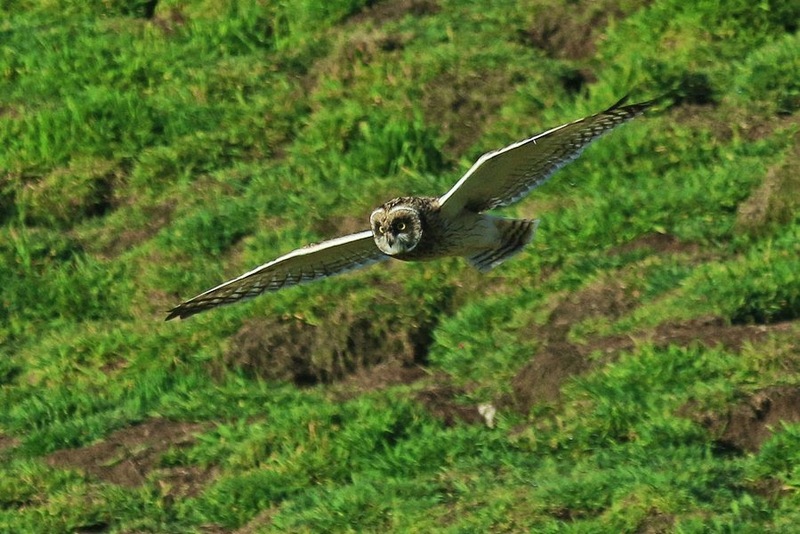 I was about to finish my two hour shift watching the numbered burrows at the Wick. This was part of an all day puffin feeding watch aimed at recording how many times a day adult birds were bringing food to their chicks which were safely tucked away in their burrows. 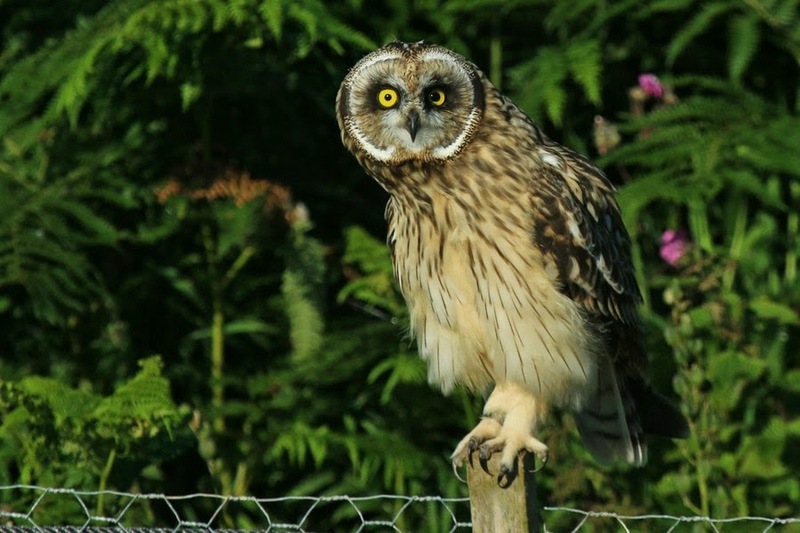 Holly, our new long term volunteer, had started watching the burrows in the chilly half light at 5am. 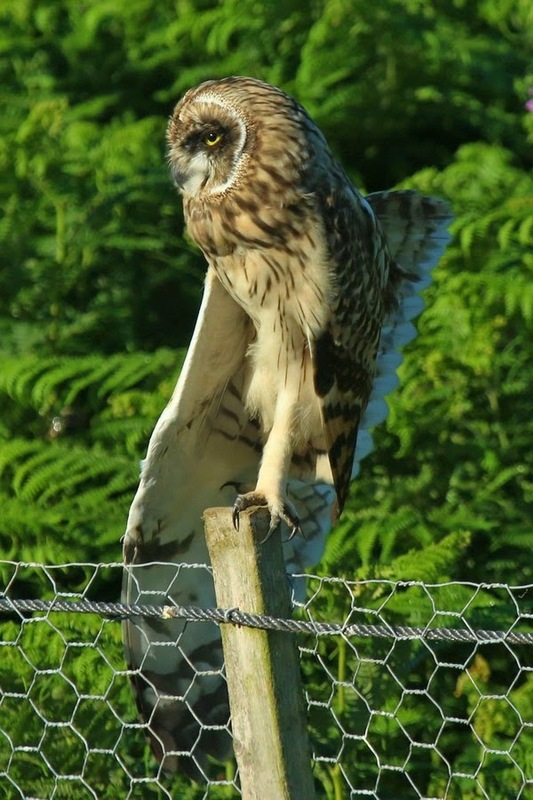 Several members of staff and volunteers had also taken a shift, and now Holly was returning to keep watch until dark. 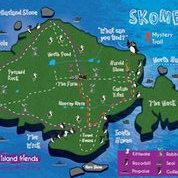 If you’re not familiar with the Wick area on Skomer, it is one of the places where people and puffins are at their closest. Puffins will land on the cliff edge and during busy periods have to run the gauntlet of photographers and visitors to reach their burrow on the other side of the path. 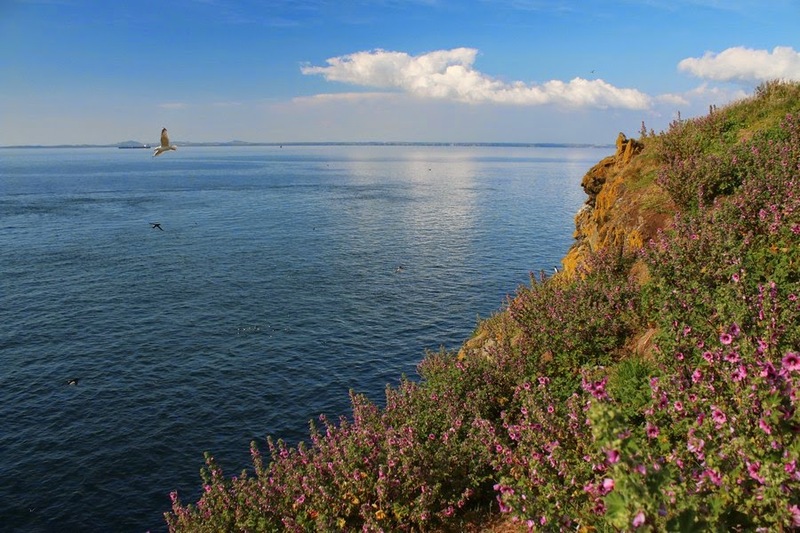 Our puffin watch results should help us shed some light on the productivity of the puffins which have to deal with the visitors, and let us decide if we’re causing any impact on the birds. But the really great thing to me, as Visitor Officer, about puffin watch days, is that we can encourage our visitors and guests to get involved and help us out. 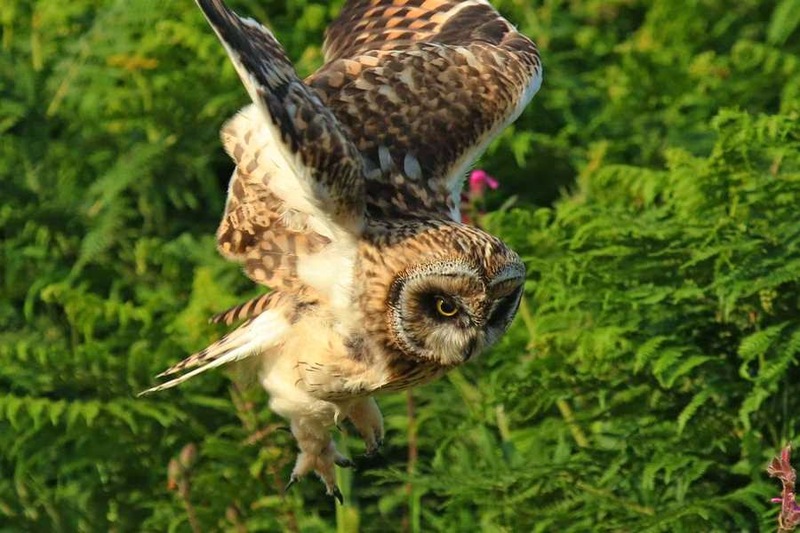 There are 51 numbered burrows and it’s hard for one person to keep an eye on all of them, especially as some of the adult birds fly in, land and run down their hole at breakneck speed to avoid being mugged by gulls. So I always try to explain what I’m doing there, clipboard in hand, and rope everyone to help. So anytime a puffin is seen delivering freshly caught sand eels to a numbered burrow, that number is proudly shouted and duly recorded. For people just turning up to have some evening puffin-time, it does sound like a game of bingo is underway. 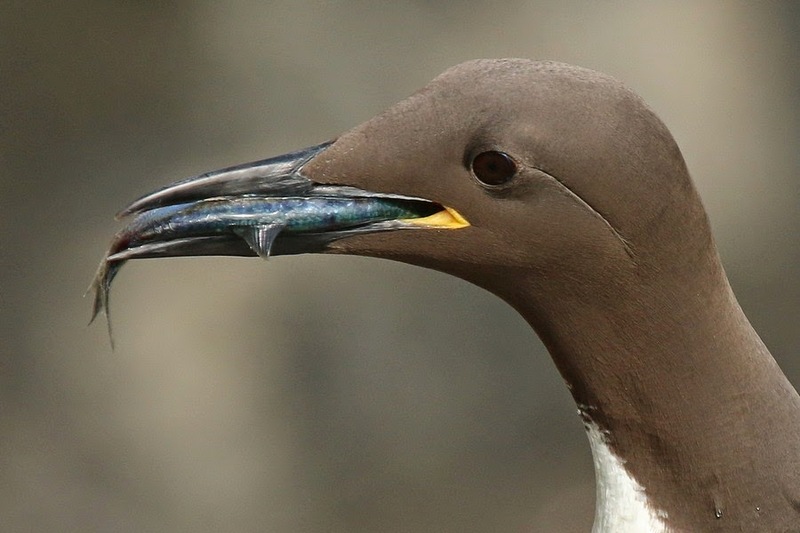 Feeding rates tend to vary during the day, with mornings and early evenings being the busiest times (another reason that an overnight stay is a must-do on Skomer Island). 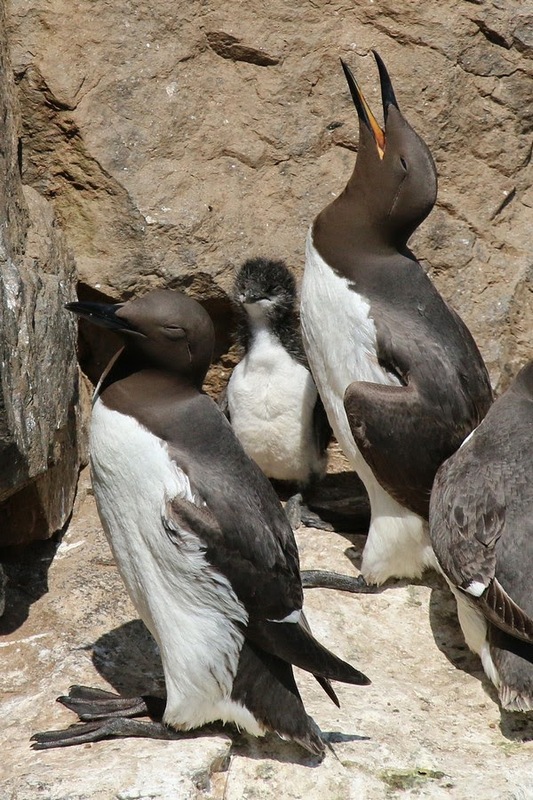 But it all tends to quiet down around 9pm, with many puffins content to loaf around on cliff tops and engage in some social activity or burrow maintenance. 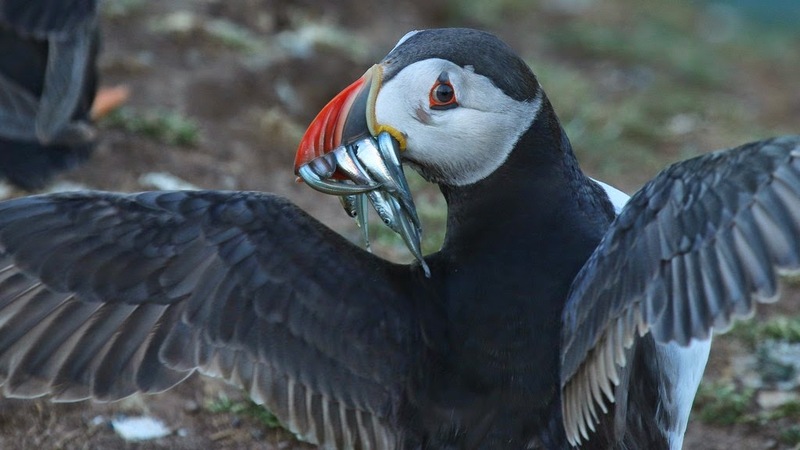 The results we collect will help shed some light on the success of the puffins at the Wick, but in the meantime our puffin watches have proved a fun and engaging way to raise awareness of our potential impact on these birds. 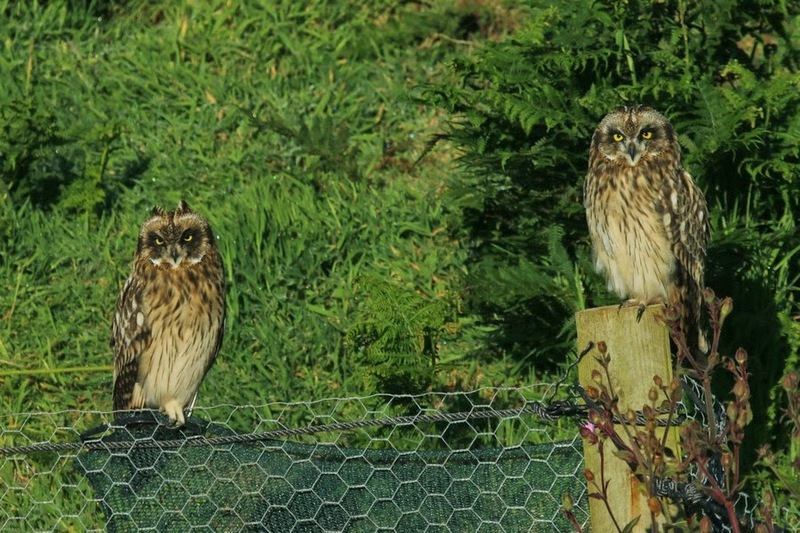 We have new neighbours at North Haven: A brood of Short-eared Owls has taken a liking to my vegetable plot and its fence posts. 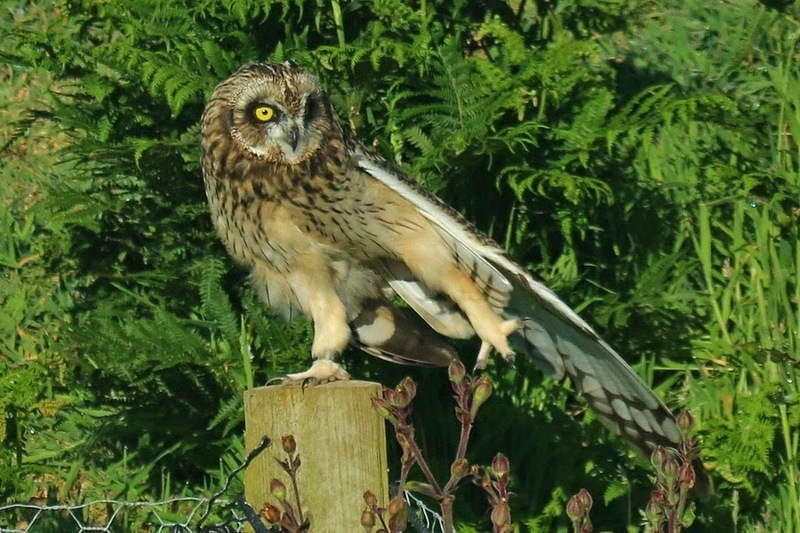 Some mornings we now wake up to see these beautiful birds perching outside our bedroom window. What a start to a day - gettin up was never easier! in out, in out, shake it all about! Read about the adventures of our new long-term volunteer and sign the petition to ban Diclofenac in Europe which has caused the death of thousands of vultures in Asia. 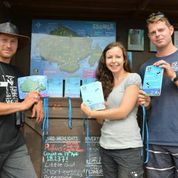 I’m Megan, the long term people engagement volunteer here on Skomer and will be for the next three months. 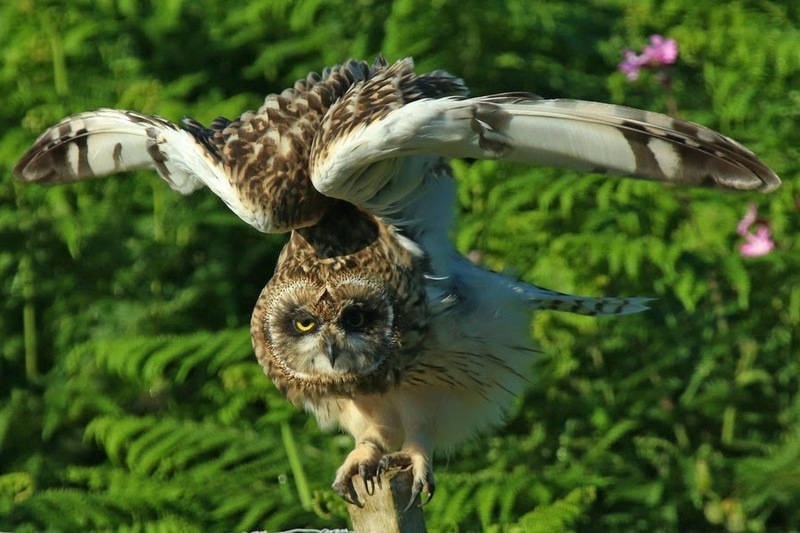 I graduated from Aberystwyth University last year studying Countryside Management and this is my first placement. I arrived here on the 24th of June and it’s hard to believe that three weeks of my time are already over. I have already learned so much and I have gained new skills: I now know how to drive a tractor! 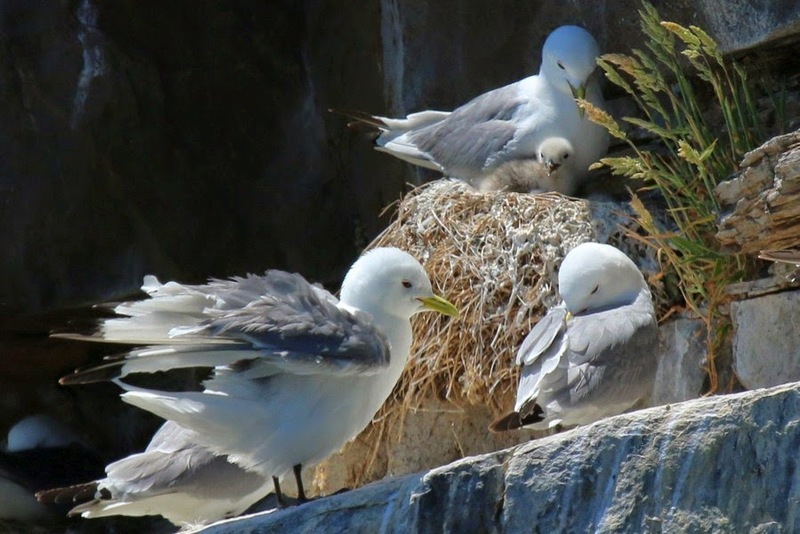 (with supervision at the beginning but on my own now), how to catch and identify Lesser Black-backed Gull chicks and how to handle Manx Shearwaters. A few nights ago I released one that was found walking around during the day. 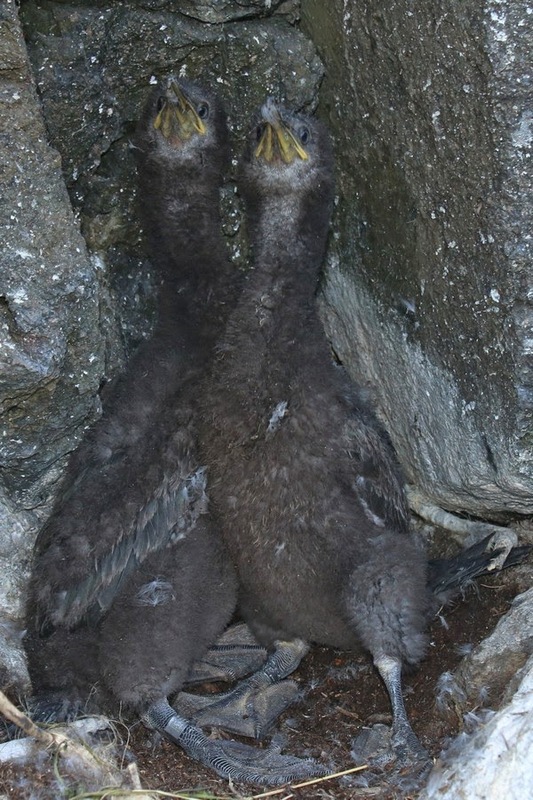 I've also had the chance to help the Oxford researchers with their night time work tracking immature shearwaters. 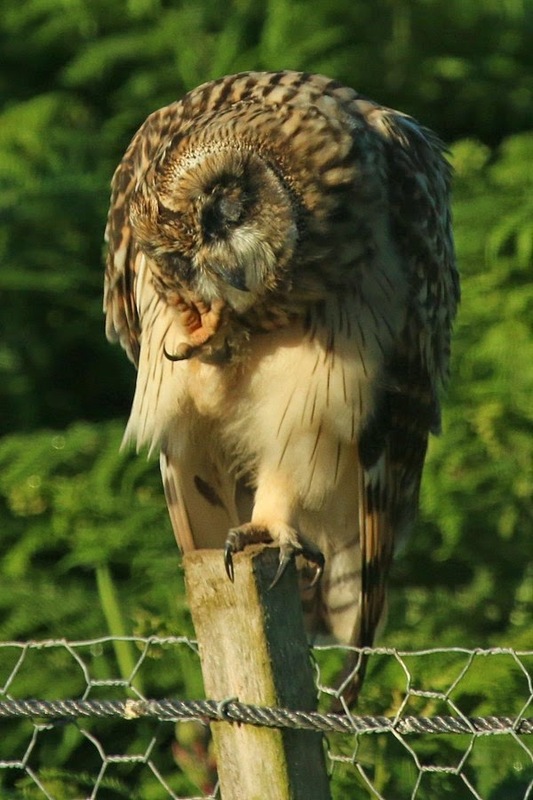 They are such lovable and interesting birds it makes me feel very privileged to help conserve them. 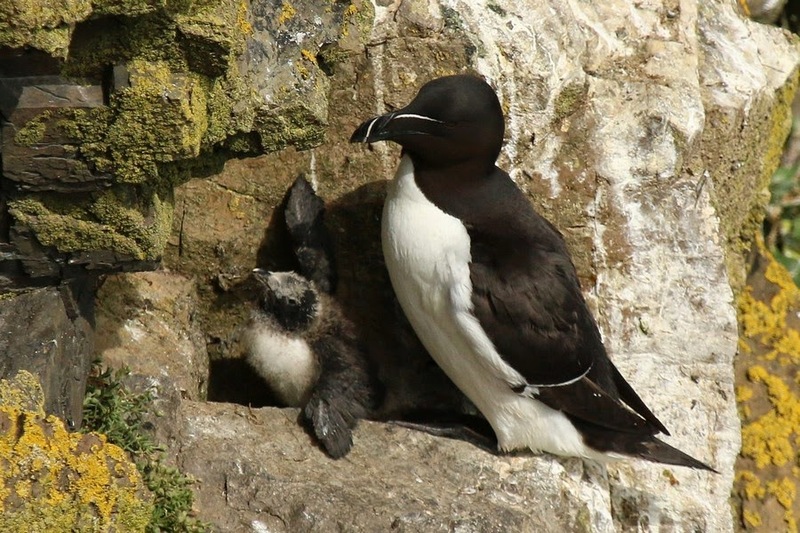 I have also been given the task to finish the productivity study of Guillemots and Razorbills at Bull Hole, which Catherine, the previous conservation volunteer had started. It’s a fantastic way to watch the different behaviors of the birds, (and the chicks are pretty cute too!) They are jumping at the moment so I have been watching them take the plunge. 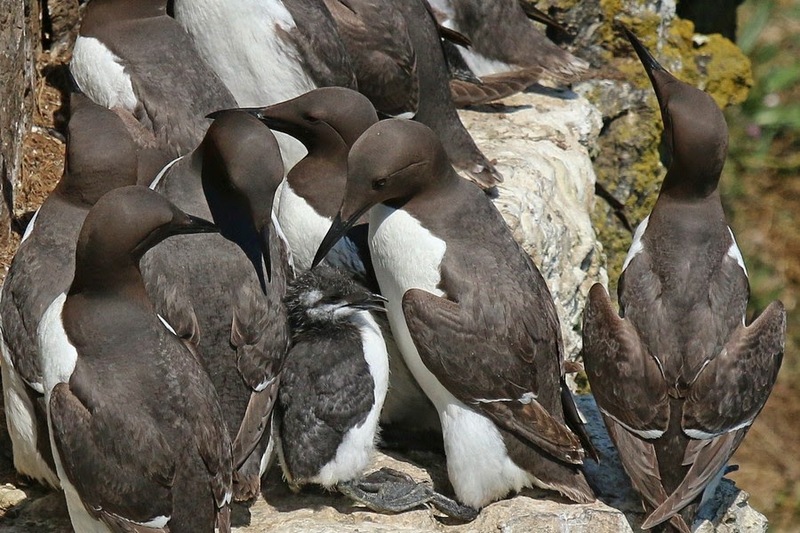 Who is who on the Guillemot ledge? "Come on little one, don't be scared, take the plunge"
The sunny weather has let me and the lovely short term volunteers go swimming for four nights in a row. The puffins must think we’re oddly shaped seals and come very close to us. It’s pretty magical watching them flying over you in the water. We've also made friends and swam with Shauna the seal, (her name so Andy the visitor officer tells me), and one bull which we've named Siôn. I've barely had to cook for myself since I've been here, Andy (the Wildlife Trust's Field Worker) has prepared lovely fresh bbq fish each week and I regularly get fed by the lovely researchers. And in the evenings I go watching the sunset - it has become a ritual of mine. Once you've seen it you'll never want to miss it! Hello, my name is Pia, I am Biologist from Germany and I am a friend of Bee's. 17 years ago Bee and I started our careers in conservation together, volunteering on the Nature Reserve Mettnau at the Lake of Constance. 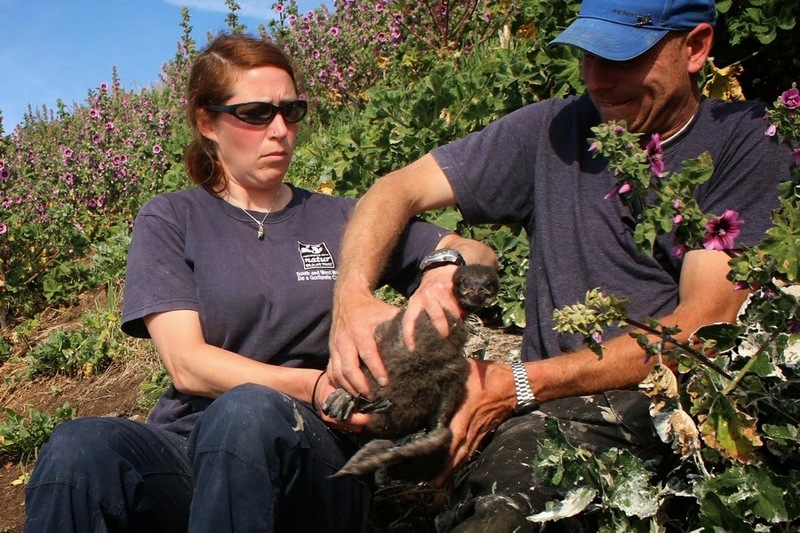 This is my second visit to Skomer, I came last year to help with the whole island count and as I enjoyed it so much I offered to come back and help some more. 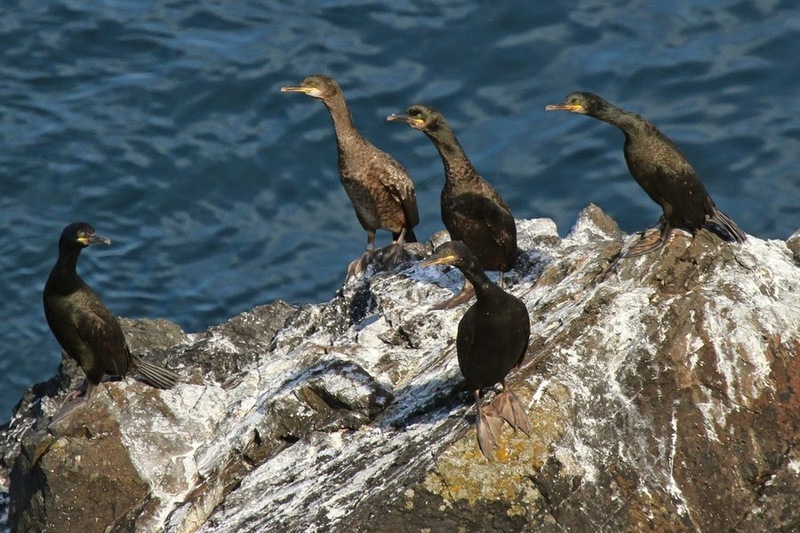 In my spare time I took some pictures of the Skomer bird life which I would like to share with you here.